Animystics: Opening Tonight! Featured Artist Cat Rabbit! The Animystics Opening Reception is Tonight, April 25th, from 7-10pm at Light Grey Art Lab! Light Grey Art Lab is located on the corner of Stevens Avenue and 26th Street in Minneapolis. Check out the Facebook Event Page for full details. This is a massive celebration and benefit show for all of the animals in our lives! A hot dog bar, Photo booth, Pet gift basket raffle provided by Minnesota-based pet food supplier Chuck and Don's, and interactive Power Animal quiz are some of the features of tonight's event. Pets are welcome at the opening, so feel free to bring your animal friends along! Tonight is all about the animals we care about, and a portion of the proceeds from each piece sold will go to the artist's chosen shelter: Homeward Bound Dog Rescue, The Animal Humane Society, or Feline Rescue Inc. A special thank you to Yelp and Chuck and Don's for being sponsors of the event. 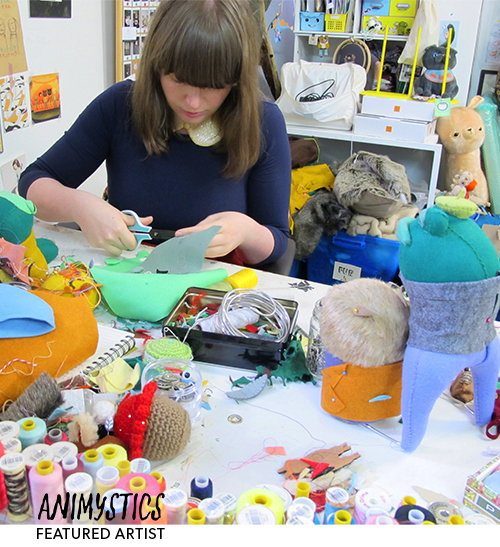 Cat Rabbit is a textile artist living and working in Melbourne, Australia. Without any rigorous patterning or planning, Cat makes anthropomorphized plush sculptures - usually based loosely on a certain animal, each with a different personality. 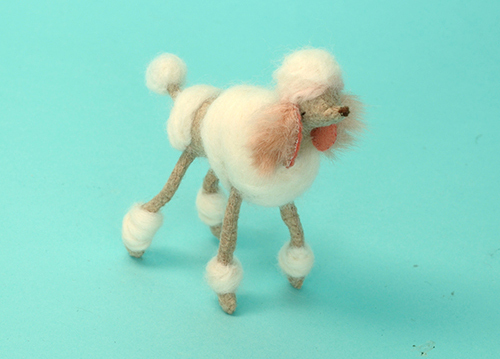 Her practice has lately extended to embroidery on linen and wearable felt jewelry. As well as exhibiting her work within Australia and Internationally, Cat sells her work in selected stores and her own Etsy store. Multiple fun creations by Cat Rabbit will be on display in our gallery space, and available to view or purchase in the Light Grey Art Lab Shop. More of Cat Rabbit's work can be seen on her website here. For the Animystics show, each artist sent us framed, original pieces for display on the gallery walls. We had fun unveiling each piece as it arrived at our gallery, and each artist has done an amazing job. We can't wait for you to see the culmination of their effort on display at the Animystics opening! Hope to see you there!